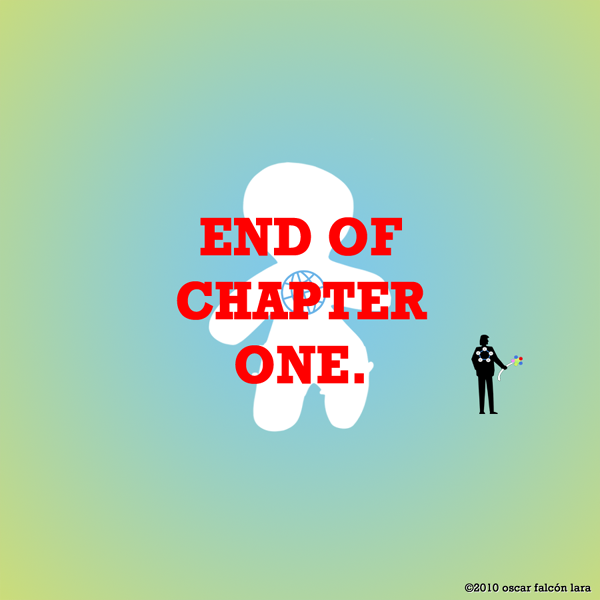 Chapter one has ended but I will say that it's not 'concluded' in any way, shape, or form... there are still loose ends that need attention, and I'll get to those in the following chapters. It's been an interesting 8 months for sure, having the idea bounce around in my head for 9 years after first doodling a character on a journal entry, I finally started a webcomic that has been evolving in a way that is surprising and interestingly awesome. I still have a long way to go as to the style and the content, I am constantly redesigning and thinking about ways to make the story a bit better and also have to find time to draw and design more characters and props. I would love to get as much people as possible to know about my little endeavour, that may still prove incredibly hard but I'll keep writing and drawing and hopefully more and more people will discover it with time. I would like to thank everyone who has taken the time to regard this webcomic and to everyone who has yet to discover it, I'll keep at it for as long as I can.